All make space for the new gaming big guy. It is called the Dell G7 17 7790 and as you already know if you read our dedicated article, it is basically the larger brother of G7 15 7590. Lately, 17-inch gaming laptops are getting thinner and lighter. However, this guy here is neither of them. Well… yes it is not a bulky Alienware, but it is nowhere near MSI GS75 Stealth. It is more of a direct enemy with the Legion Y740 (17″) and ASUS ROG GL704, which we tested not a while ago. In order to be competitive in this market, there are two mandatory prerequisites – at least Intel Core i7-8750H and an RTX GPU. In this case, both of them are present and you have a choice between the GeForce RTX 2060, RTX 2070 Max-Q and the RTX 2080 Max-Q. Of course, if you are on the budget, Dell provides you with the option of Core i5-8300H variant with the already proven but unpretentious GTX 1050 Ti. Let’s check out whether the G7 17 7790 is ready to tackle the gaming market head-on, or it trips miserably on the way up. We got the Dell G7 17 7790 in a large, boring cardboard box. It has some more protective cardboard inside, while the laptop is placed inside a thick plastic protective bag. As of the charger, it is a 180W unit with the classic barrel plug. Well, on the outside, the laptop certainly looks good. Sadly, though, there is not a single metal piece on the panel – everything is plastic. This makes the 3.27 kg chassis easily bendable and there are some squeaking noises coming from it during transportation when opened up, reminding us of the Pavilion Gaming series of HP. At least the 25 mm profile can be considered as a positive feature of this rather expensive device. Opening up the lid is easy using even one hand, which is nice, but not unexpected, given the weight of the device. By the way, Dell is following their design from last year, however, now we see a lot of stripes on the outer strike. We found it to be a possible dirt magnet as well – at least it looks good. Next, follows the keyboard. Another feature – another disappointment. While it has a backlight and optional RGB one, we can’t pass the fact that the keys are super small, compared to the Legion Y740 for example, while the key travel is very short. On the bright side, there is a clicky feel to them so during gaming you’ll notice the feedback very well… if you manage to hit the right key of course. Additionally, there is some slight bend of the keyboard area during typing, which is a little unpleasant. Above the keyboard, there is a shiny surface, housing the G7 logo and the power button/fingerprint reader combo. By the way – this is one of the fastest ones on the market. On the other side of the keyboard is the touchpad, which has a decent size. It is also fast and accurate. On the bottom side, you can see cut-outs right beneath the fans to supply enough air intake, while the speakers are user-facing and are mounted on the front side of the chassis. Hot air, respectively, comes out of the back and from the corner sides of the device. By the way, the side drills are super tiny, compared to the ones on Lenovo Legion Y740 for example. Dell G7 17 7790 is equipped with everything you can possibly need in the I/O selection. They are saying that they’ve put most of the ports on the back so you’re hands are free of obstacles, but actually, we’ve seen companies do better job placing the ports to the back – like the HP Omen 15 (2018). Anyways, on the right side, you can find a USB Type-C Thunderbolt connector, a USB Type-A 3.1 (Gen. 1) and a headphone jack. Moving to the back we see the power plug, an HDMI 2.0 port, USB Type-A 3.1 (Gen. 1), a Mini DisplayPort and an RJ-45 connector, while the right side is home to the SD card reader and another USB Type-A 3.1 (Gen. 1). Dell G7 17 7790’s internals is guarded by a bottom plate with 10 Phillips head screws beneath it. Upon doing so, the back side of the bottom plate pops open and you can easily lift it up with your hands. Inside we see a nearly identical picture to the internals of Dell G5 15 5590 we showed you earlier. Again – the color accent here is blue – in fact, a very beautiful one. The only difference here is that this laptop, expectedly, has longer heat pipes. Two of them (with different diameter) are cooling both the CPU and the GPU, while there is one more each, going around the fan to the other heatsink. There are two RAM DIMMs available. They are hidden by a black cover, which shows you instructions on how to change the memory. Additionally, you can see a plastic bracket above it, which is meant to structurally enhance the strength of the device. On the left side of this bracket are located both of the storage sockets. There is one M.2 NVMe enabled slot, as well as a regular SATA connector. This laptop is equipped with the same Alienware-labeled battery we saw on the G5 15 5590. It is rated at 60Wh and has 4-cells. We got the Dell G7 17 7790 in a configuration with a 60Hz Full HD IPS screen, model number AUO B173HAN-9K35D (AUO429D). Its diagonal is 17.3″ (43.94 cm), and the resolution – 1920 х 1080. Additionally, the screen ratio is 16:9, the pixel density – 127 ppi, their pitch – 0.1995 x 0.1995 mm. The screen can be considered Retina when viewed from at least 69 cm (from this distance, the average human eye can’t see the individual pixels). Dell G7 17 7790 has comfortable viewing angles. We have provided images at 45 degrees to evaluate quality. The maximum measured brightness is relatively high – 303 nits (cd/m2) in the middle of the screen and remains at the same 283 nits (cd/m2) average across the surface with a maximum deviation of 10%. The Correlated Color Temperature on a white screen and at maximum brightness is 6840K (average) – slightly colder than the 6500K optimum for sRGB. The average color temperature through the grey scale before profiling is 7020K. In the illustration below you can see how the display performs from uniformity perspective. The illustration below shows how matters are for operational brightness levels (approximately 140 nits) – in this particular case at 46% Brightness (White level = 142 cd/m2, Black level = 0.11 cd/m2). Values of dE2000 over 4.0 should not occur, and this parameter is one of the first you should check if you intend to use the laptop for color sensitive work (a maximum tolerance of 2.0 ). The contrast ratio is very good – 1380:1 (1320:1 after profiling). The yellow dotted line shows Dell G7 17 7790’s color gamut coverage. Below you can compare the scores of Dell G7 17 7790 with the default settings (left), and with the “Gaming and Web design” profile (right). Dell G7 17 7790 doesn’t use PWM to adjust the brightness of its screen, thus making it comfortable and safe (in this aspect) for use in extended periods of time. This configuration of Dell G7 17 7790 has a Full HD 17.3-inch IPS panel with comfortable viewing angles and very adequate default settings. Moreover, it has a relatively wide color coverage – 91% of sRGB and it doesn’t use PWM to adjust its screen brightness. All of this makes the 60Hz refresh rate, the only disadvantage of the panel. Since our profiles are tailored for each individual display model, this article and its respective profile package are meant for Dell G7 17 7790 configurations with 17.3″ AUO B173HAN-9K35D (AUO429D) (FHD, 1920 × 1080) IPS. Dell G7 17 7790 has loudspeakers. However, they have a little deviation in the low frequencies, while the mid and highs are clear. Now, we conduct the battery tests with Windows Better performance setting turned on, screen brightness adjusted to 120 nits and all other programs turned off except for the one we are testing the notebook with. Dell G7 17 7790 in this configuration uses the same 60Wh battery like the G5 15 5590. Given the bigger size of its screen, though, the G7 17 7790 was able to get 7 hours and 50 minutes of web browsing and around 6 hours and 20 minutes of video playback – not bad for a 17-inch gaming laptop. As of yet, there are only two options available – four-core/eight-thread Intel Core i5-8300H and the more powerful Intel Core i7-8750H (six-core/twelve-thread). They not only differ in the number of cores but in the amount of cache as well – 8MB to 9MB, respectively. Additionally, they are built on the same Coffee Lake-H 14nm architecture and are rated at 45W TDP. GPU-wise, you can pick the GTX 1050 Ti, if you are not really pretentious about gaming. However, if you are buying this laptop for its graphical capabilities you should stick to the RTX family. Here the options are the RTX 2060 (6GB GDDR6) and the Max-Q versions of RTX 2070 (8GB GDDR6) and RTX 2080 (8GB GDDR6). Dell G7 17 7790 shows decent performance with the RTX 2060 GPU. Similarly to the smaller G5 15 5590, Dell G7 17 7790 starts off with a relatively slow start – around 1 GHz down to the ROG GL704. This, however, results in low temperatures at the beginning of the test, which is good, since it offers a little headroom for the GPU. 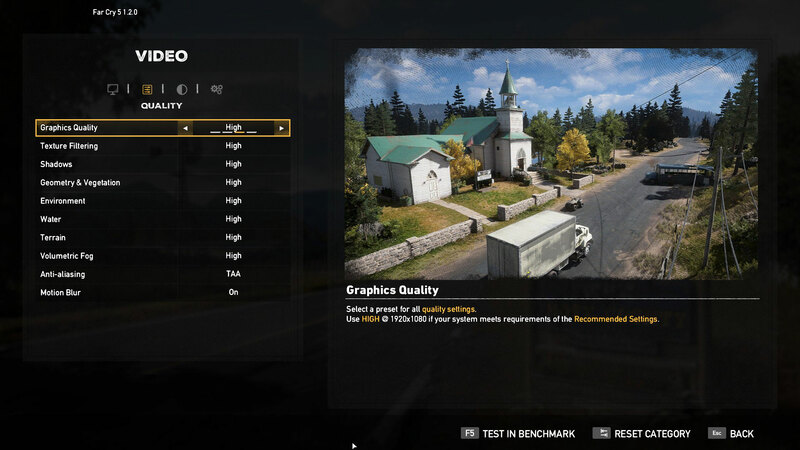 With the time passing, the Core i7-8750H slowly but surely got up to speed and at the end of the test it was only 190 MHz down to the ASUS behemoth and 260 MHz up to the TUF FX705. However it got up to temperature and like an old diesel it needed half an hour to reach 85C. Here, we see a very little deficit in the frequency, compared to Lenovo Leigon Y740. At the same time, the temperature was pretty constant throughout the entire test period, however noise-wise… huh. It was LOUD. Actually, we found it to be a perfect test bench for the noise canceling headphones. You’re welcome, Bose. Here there are good news and bad news. The good news is that the palm-rest area is cool at all times. However, the bad is that that can’t be said for the rest of the surface of the laptop. Especially the area around the “O” key (same location as the G5 15 5590), where it reaches 56.9C. We knew that G7-series was going to be hot, but this got us surprised. Dell has done a lot with this budget Alienware. However, we don’t really think they have done enough to distinguish this device from its more budget brother – the G5 – even though we tested only the 15-inch G5 15 5590. We were astonished how these devices got almost the same results in every single test we threw at them. Additionally, they are very hot on the surface and, wait for it – on the exact same spot. OK, apparently, Dell is not very creative with their new devices. That said, we don’t mean G7 17 7790 is not a good laptop. First of all – it has a great performance – everything we expected from it – it did it easily. Although we are not sure how the more powerful GPUs are going to perform, and if the outer body is going to handle the heat. So, next, we have the battery life, which is rather impressive for a 17-inch gaming laptop. It reaches around 8 hours of web browsing and 6 hours and 20 minutes of video playback. Additionally, there is a bright, colorful display (AUO B173HAN-9K35D (AUO429D)). It covers 91% of sRGB, has great brightness and thankfully doesn’t use PWM to adjust the brightness. Moreover, its default settings are adequate and with the help of our Gaming and Web design profile, it is totally usable by web designers. Everything here is nice, but sadly there is an area in which the G7 17 7790 is greatly beaten by the ASUS ROG GL704. Its the keyboard. While both of them offer optional RGB backlight, Dell’s machine has a bad design whatsoever. Its keys are small, they are shallow and moreover, the base bends when you type – unpleasant. So the bottom line is that if you are a fan of Dell’s laptops or you play mostly with a controller you’ll be fine. In fact, you’re going to enjoy this laptop. However, if you are a typical PC gamer, you’re better of with the ROG GL704, or the 17-inch Legion Y740.